I started the Advanced course along with my friend John Bellis 2W0OSG, we are signed up on a distance learning course run through the City of Bristol Group. 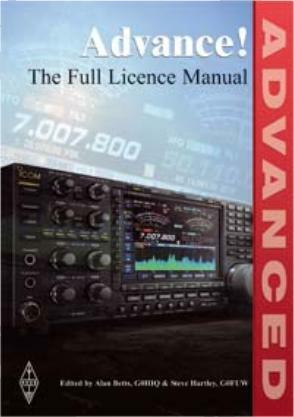 The course started on the 13th of January 2011 and was headed up by Steve Hartley, G0FUW one of the co-authors of the Advanced manual. The lesson’s and revision notes were emailed to us every week, we were sent questions every week or so to check on our progress and provide feed-back. Unfortunately I was unable to stick with the planned time of taking the exam in June due to work commitments but I was able to take advantage of joining the sitting at the RSGB Convention on the 9th of October 2011 and I am glad to say that I received notification that I passed on 15th October, super fast marking and processing by RSGB exam section. So Now I am MW0TBB.